HIGH Successfully hunting a deer to feed my young. LOW The lack of obvious story progression. WTF Wait, I beat the game? Well, okay, I guess? Shelter Generations is a two game collection, consisting of Shelter 2 and Paws. Both of these titles follow a lynx trying to survive in the wilderness. Players explore a meadow, mountains, woods, and even swampy areas filled with various other wildlife and vegetation. This exploration is mostly open-world with a few linear sections to help progress the story. In addition to the various environments, players will contend with elements of nature, like changing seasons, predators, and even grass fires. 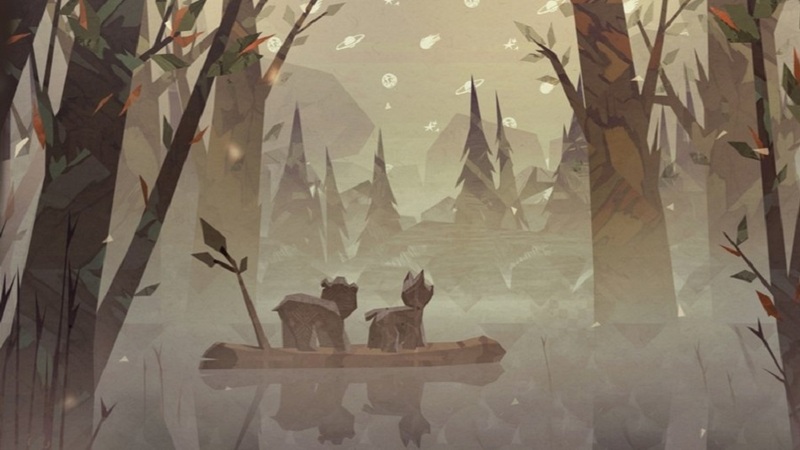 The art style in both games is fantastic, resembling a quilt or felt collage. The lynx and its locales look as if they were pieced together from various swatches of earth-toned fabrics. 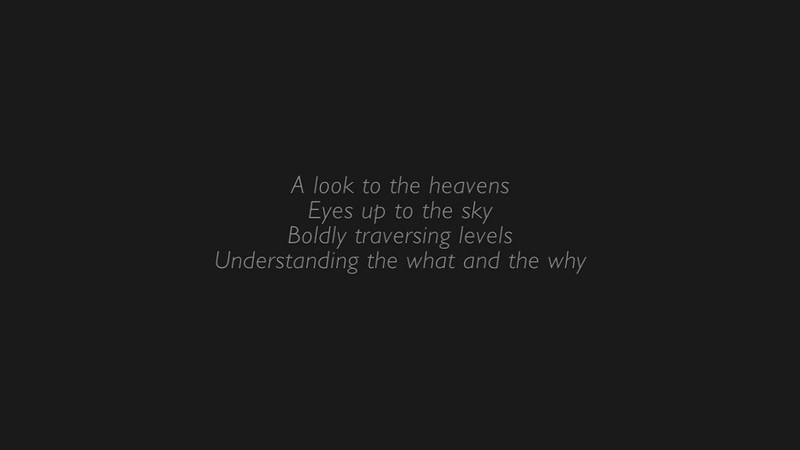 The sky, especially at night, adds even more to the fabulous art direction – constellations and patterns can be seen in the air, and an instance of the aurora borealis is one of the game’s most beautiful moments. The style does not disappoint. Unfortunately, the same can’t be said about the gameplay. 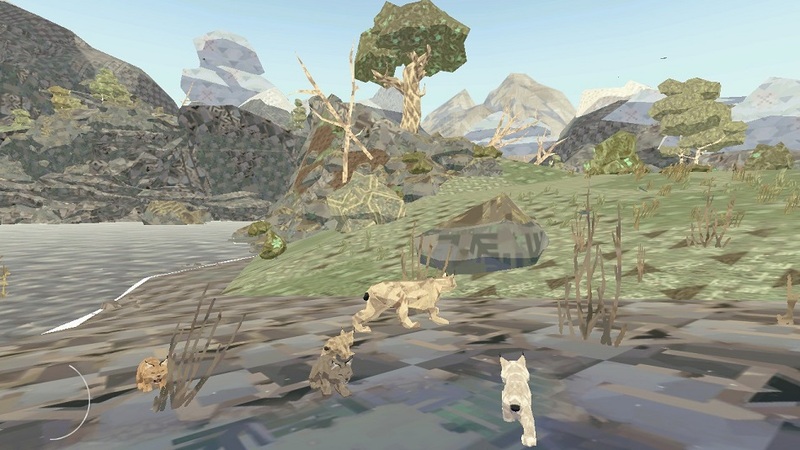 Shelter 2 begins with a pregnant lynx trying to escape a pack of hungry wolves. When a safe place is finally found, the lynx gives birth to a litter of four kittens. The mother lynx must then try to find food for her offspring until they can become strong enough to fend for themselves. Hunting starts with smaller prey, such as rabbits, birds, and even frogs, but eventually players will come across larger animals, such as a herd of deer. Players track animals by pressing the B button, which turns the screen gray. All animals within the area glow bright red, making it easier to locate food at a distance. It is unclear what real-life sense this tracking assist represents, but I thought of it as the lynx’s sense of smell. Once the kittens begin exploring the wilderness, mama lynx must also contend with other animals wanting to make a meal out of her litter. Numerous times I had to fend off a raptorial bird as it swooped to grab one of the kittens. Players will need to react quickly or risk losing an offspring. I enjoy the premise of Shelter 2, but some basics are severely lacking. While not horrible, the in-game camera will often point the wrong way or turn at an inopportune time, and the default position seems to rest at too high of an angle. There are multiple options to change the camera controls and sensitivity, but even still, the camera is mediocre at best. Worse than a middling camera, Shelter 2 offers few hints about what is supposed to be done in the game. I never felt like I knew which way to go, how many animals I needed to hunt, or what the next step was in helping the young lynx grow. Throughout the entirety of the experience, I felt like I was wandering aimlessly through the wilderness, not really achieving anything. In fact, the progression is so unclear that when the end credits began rolling, I was actually surprised! After that experience I was hesitant to start the second title in Shelter Generations, but after giving it a try, I found Paws to be the better of the two, by far. In Paws, a lynx kitten has been separated from its mother and must follow her scent to reconnect with its family. Pressing the B button once again creates a sensory screen, but this time the kitten not only sees prey, but can identify some spots where its mother had walked before. These scattered footprints help identify which way to go in the vast wilderness. While Shelter 2 often felt directionless, Paws gives the player more clues on what needs to be done to progress. While making the way back to its mother, the lynx befriends a bear cub. The bear assists in certain tasks, like paddling a log across a lake or acting as a platform for the baby lynx to jump to higher ground. Without spoiling anything, this playful friendship, while never too complex, plays a big role in the storyline. Also, unlike Shelter 2, the ending for Paws was appropriately telegraphed prior to the credits rolling. While Paws is the better of the pair, it’s not without its own issues. The camera is still mediocre, and I also ran into a bigger problem mid-game — when I first encountered the bear cub, I had to collect berries to feed it before it would befriend the baby lynx. After collecting every single berry within the area, the bear still just sat there, wanting me to feed it more. After scouring the area multiple times, I gave up and turned off the game. Loading it up the next day, I did the same task, only this time the bear was befriended and began following me around. I’m not sure what the issue was the first time, but that initial frustration almost ended the game for me. Disclosures: This game is developed by Might and Delight and published by Circle Entertainment. It is currently available on Nintendo Switch. This copy of the game was obtained via publisher and reviewed on the Nintendo Switch. Approximately 4 hours of play were devoted to the single-player mode, and both games were completed. There are no multiplayer modes. Parents: According to the ESRB, this game is rated T for Teen and contains Blood and Violence. Being a game that takes place in the wilderness, all blood and violence is connected to a predator/prey relationship. The lynx hunts other animals and occasionally the kittens are the prey within the food chain. When a hunt is successful, there’s a small spurt of blood and the carcass is stripped for food, but nothing too gory. This game should be fine for any younger person who understands the basics behind nature’s food chain. Deaf & Hard of Hearing Gamers: The story that is included is delivered via text between scenes. Text size is not adjustable. In-game hints are delivered via a small picture and accompanying button on the controller – no text or voiceover is used. When a bird of prey is about to attack the litter, sound cues play a big part in identifying this event, making it easier to stop the bird. There are no accompanying visual cues beyond the bird on screen. Due to this, the game is not fully accessible. Remappable Controls: No, this game’s controls are not remappable. There is no menu within the game identifying the controller layout. Movement is with the left stick, camera controls with the right stick. The B button allows players to identifying prey. Pressing ZL while moving is used to sprint and pressing A while sprinting makes the lynx jump. In addition to pouncing, smaller prey can be snatched with the X button. Once prey is captured, pressing the X button again will drop the food so the young lynx can eat. For his tenth birthday, Brian was given the option of receiving a GameBoy or a Game Gear. He chose the GameBoy. No longer were videogames confined to the home PC, he could now squeeze in a quick game on the trip to the store or right before bed. Over twenty-five years later and with two young kids, Brian still needs to squeeze in time for videogames, but now gets to do so on slightly better hardware. When he does find time to play, Brian’s preferred games of choice are platformers, beat-‘em-ups, or a good adventure game.He still enjoys the retro gaming scene, could talk about the Nintendo 64 more than he might like to admit, and misses playing in actual arcades. Brian also gets to pass on his love of gaming, as his oldest son is just now starting to join the fun. As for that GameBoy - it’s sitting in Brian’s nightstand, waiting patiently for four AA batteries.